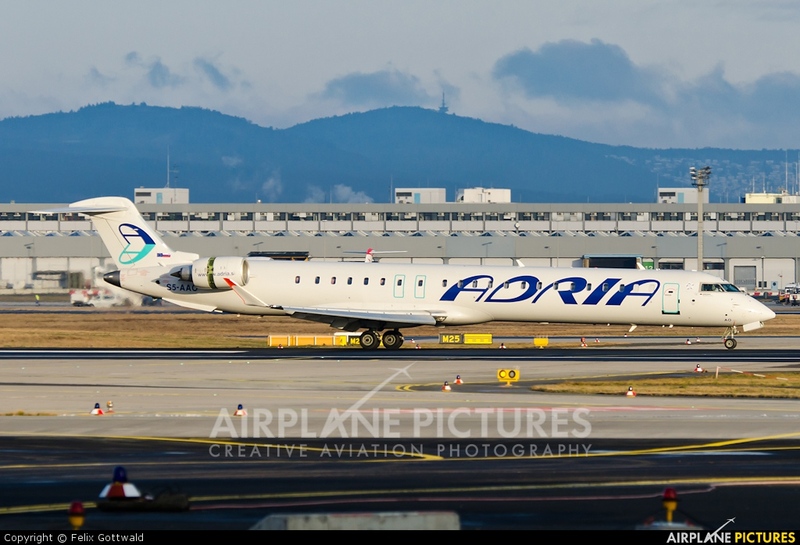 Latest CRJ for Adria, del. new in January 2009. Three years later it is seen here landing on runway 07R in the early morning with the Taunus in the background.